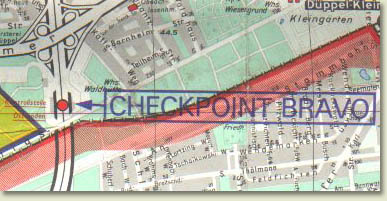 Checkpoint Bravo was located in the american sector at the southern border of West-Berlin. 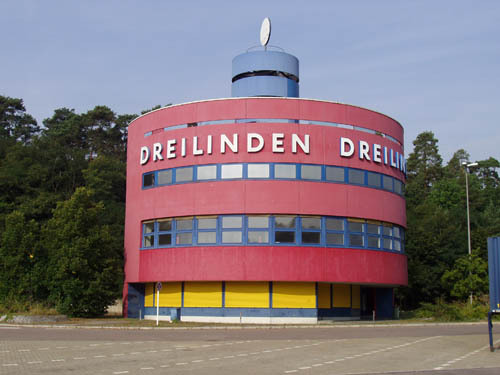 The civillian border crossing point was called Dreilinden. 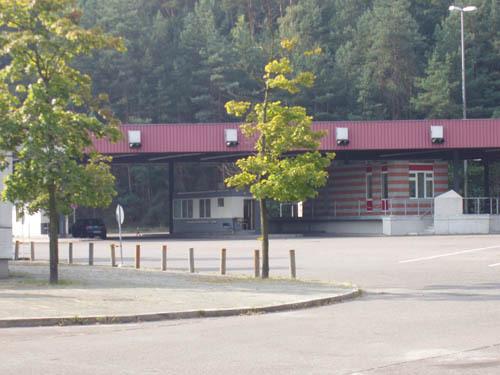 On the other side of the border the GDR checkpoint was called Drewitz. 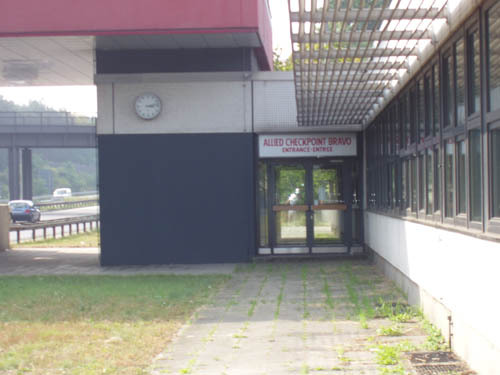 The allies built the checkpoint facility that was in service until deactivation in the late 1960s. Today the facility is under monumental protection. 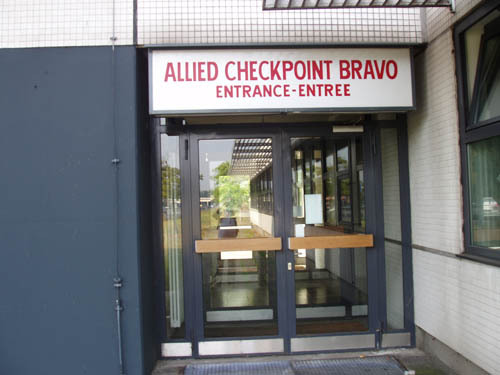 As the other checkpoints it was manned by American, British and French Military Policemen. 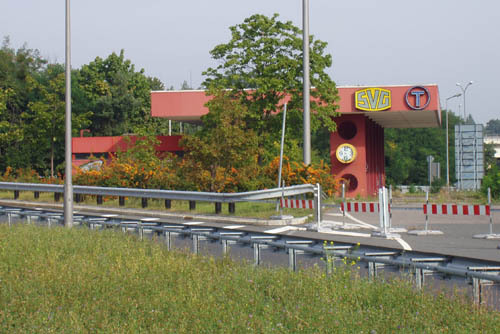 Checkpoint Bravo was manned by one MP in charge (NCOIC- normally a Staff Sergeant or Sergeant) and a detailed MP (E-4 and below) who monitored travel from Helmstedt to Berlin and reverse. The responsibility of the NCOIC was to ensure that the FLAG ORDERS were correct. He would take the military ID card/Dependent id cards/US Passports and ensure they match perfectly to the flag orders. If they didn't then the Russians would send them back. The Russian soldiers would just take the ID and match it. 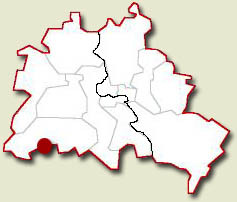 The Detailed MP would show the traveling route on a map and corresponding pictures. 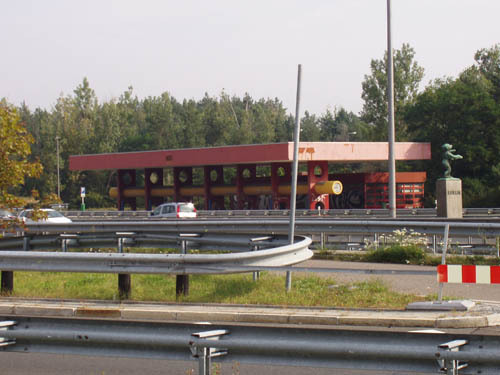 He would tell how to process through the soviet checkpoints (Dreilinden when leaving Berlin and Marienborn before entering Western Germany) and where to turns on the Autobahn. 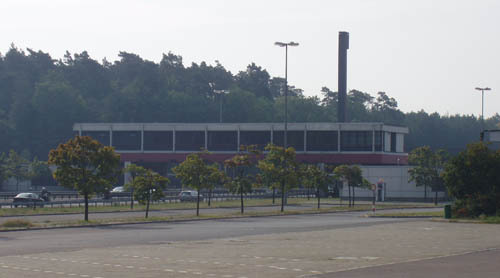 The traveller was instructed to outprocess at the checkpoint in Helmstedt. The drive should take you 2 hours. If the trip was made in under 2 hours they sped. If they made it after 3 1/2 hours chances were they took a wrong turn somewhere along the path. 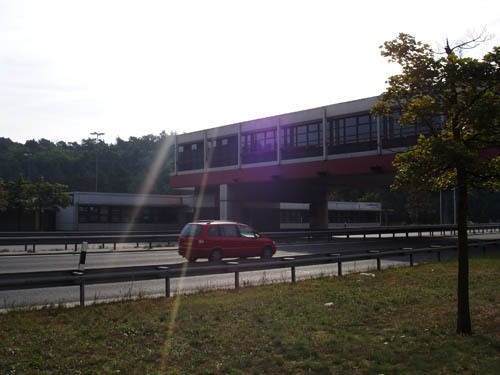 Some travellers would wait in the parking lot just so they could speed down the corridor. Checkpoint Bravo was the easiest of the three checkpoints. Normally either you were dealing with Berlin Brigade soldiers or soldiers from the West who already had travelled the corridor. The MPs at the checkpoint were also provided with breakdown cards to give to allied travellers if you were broken down. If you were pulled over by the East German police you would just ask to see a soviet officer. We had flash cards written in German, Russian and English. They said "I wish to proceed without further delay"...that was the first one. The second one was "I demand to see a Soviet officer". Once you requested a Soviet officer you were stuck there until one arrived.